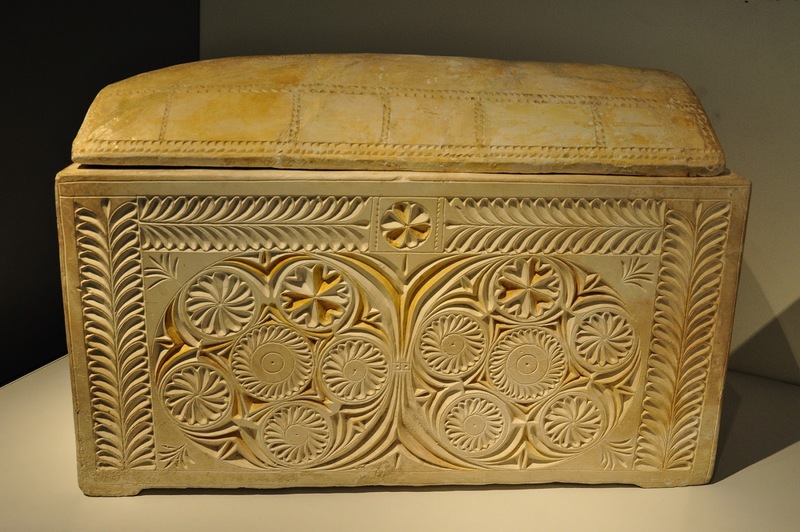 Image: The so-called "Caipaphas ossuary", discovered in a burial cave in Jerusalem in 1990 and believed to hold the remains of Caiaphas the high priest mentioned in the Gospels. A new installment has been posted in the series through Eusebius of Caesarea’s The Ecclesiastical History: book 1, chapters 10 (listen here). Eusebius continues to set the historical time frame for the life of Jesus, drawing upon Luke and Josephus. Citing Luke 3:1, 23 he notes that Jesus was baptized in the fifteenth year of the reign of Tiberius as Roman emperor and the fourth year of the rule of Pontius Pilate as governor of Judea, and that Jesus began his public ministry when he about thirty years old. He then takes Luke 3:2 to refer to the life of Jesus being set between the high priesthoods of Annas and Caiaphas (Luke 3:2: “Annas and Caiaphas being the high priests…”). From this he assumes that the public ministry of Jesus less than four full years. Furthermore, Eusebius notes the calling of the twelve apostles at the beginning of his ministry, as well as the sending of the seventy. Note: Although Eusebius does not mention the traditional three-year scheme for Jesus’s public ministry, drawn from John’s mention of Jesus’s four Passover visits to Jerusalem, his less than four-year ministry scheme roughly fits with this. The question remains, however, whether Eusebius properly interprets Luke 3:2. Did Luke intend there to say that the public ministry of Jesus extended from the deposal of Annas to the high priesthood of Caiaphas?